Herman J. Russell Sr. cemented his legacy as a masterful entrepreneur through hard work, perseverance and innovative thinking. The Herman J. Russell, Sr. Center for Entrepreneurship was endowed by Russell to empower a new generation of passionate leaders. In conjunction with the Entrepreneurship and Innovation Institute, we offer competitions, a speaker series and other programming to help educate students, alumni and other members of the Atlanta entrepreneurial community. Georgia is the #1 state in the U.S. for business (Site Selection, October 2017). The H.J. Russell Center Influential Speaker Series engages and inspires Georgia State entrepreneurs by featuring a prominent entrepreneur who shares compelling stories and insights. The H.J. Russell Center Business Model Competition and networking event is open to students enrolled in ENI 3101. The H.J. Russell Center Motivational Author Talk connects award-winning authors to the Georgia State community to share their experiences and tips for today’s entrepreneurs. What Makes an Atlanta Legend? In Herman Russell’s case it has been someone who has changed not only the physical landscape of the city, but also its overall community. His company, H.J. Russell & Co., is responsible for the construction of some of the city’s most well-known structures such as the Georgia Dome, Turner Field, Philips Arena and Georgia Pacific Tower, just to name a few. In 1963, Russell became the first black member and then later the second black president of the Atlanta Chamber of Commerce. He also worked closely with Dr. Martin Luther King Jr. and became an outspoken patron of the civil rights movement. Along with his success, Russell grew more philanthropic, donating $1 million each to his alma mater, Tuskegee University, along with Clark Atlanta University, Morehouse College and Georgia State University. Georgia State used the gift to create the Herman J. Russell Center for Entrepreneurship. All of these outstanding achievements contributed to Russell being honored with Business to Business‘ Atlanta Legend Award. The following quotes pertain to Russell’s dramatic impact on Atlanta and come from some of Atlanta’s most well-known names. Russell received Robinson’s Honorary Alumnus Award in 2007. Herman J. Russell Sr. died on Nov. 15, 2014. 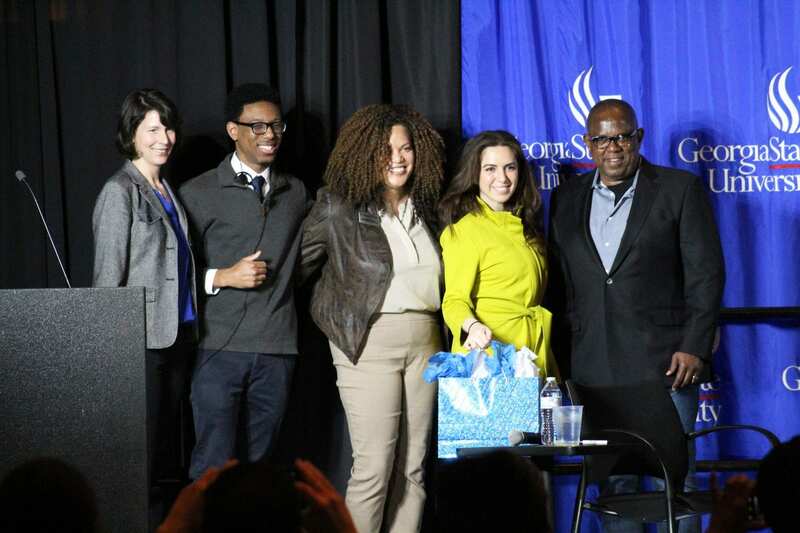 On February 28, 2019, Georgia State University hosted entrepreneur and investor Nathalie Molina Niño as featured guest for the Distinguished Speaker Series. This program was a collaboration between the Entrepreneurship and Innovation Institute (ENI), the H.J. Russell Center for Entrepreneurship (HJRCE) and Spotlight Programs Board. November 30th marked the Fall 2018 H.J. 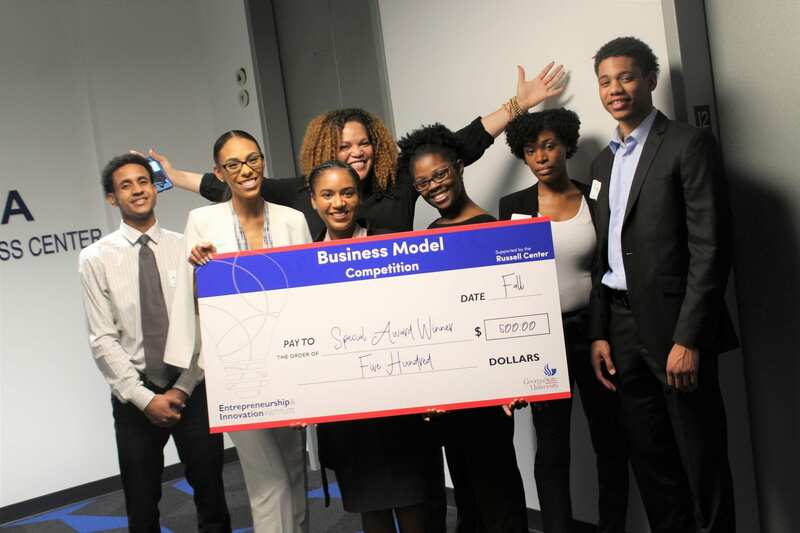 Russell Center for Entrepreneurship (HJRCE) Business Model Competition! The evening was packed with pitches from our ENI 3101 student entrepreneurs. Four teams pitched in the digital displays portion of the competition while five teams competed for the grand prize of $1,500 on the main stage.